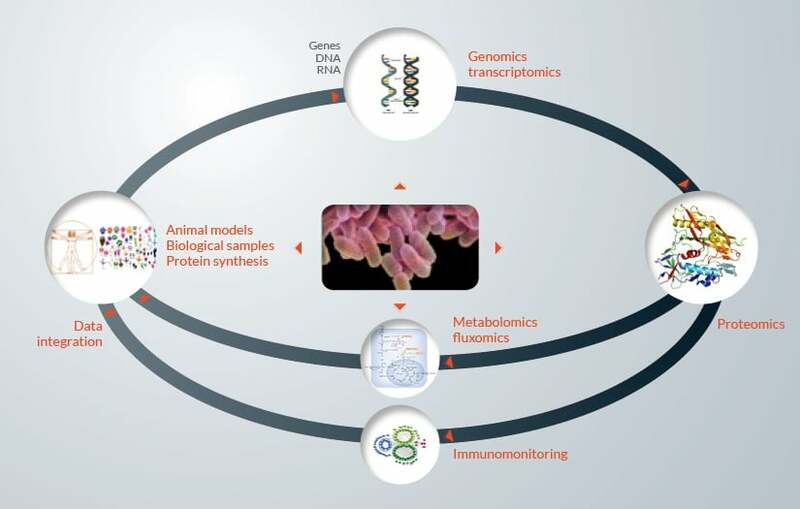 Finding solutions to answer the complexity of biological systems. Our understanding of pathogens and their mechanisms of action has considerably improved; we have discovered that some of these pathogens are involved in cancers and diseases of unknown etiology; we have greater understanding of the cells and molecules at the heart of our immune response; we have decoded the mechanics of infections and host-pathogen relations; we have explored the microbiota; and we have strengthened our diagnostic and therapeutic arsenal. This progress has also revealed the incredible complexity of biological systems and the immensity of microbial diversity, both of which remain poorly understood. Taken together, these factors explain the difficulties we have today in predicting our immune system’s responses, manipulating it as we desire and fighting effectively against new pathogens and microbes. 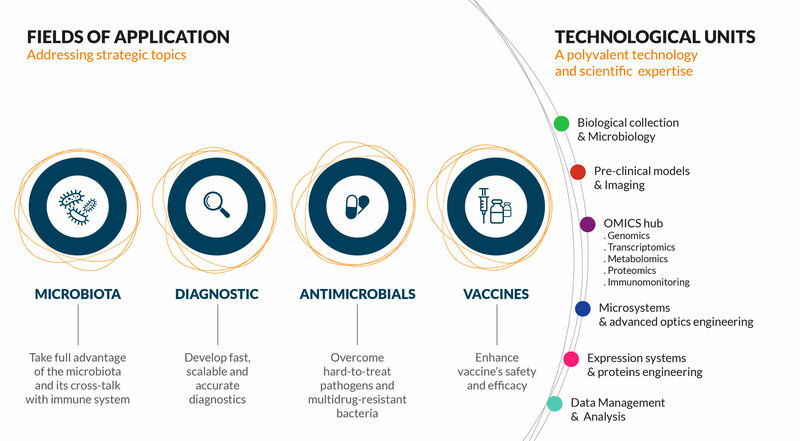 Complementary and co-localised scientific and technological expertise, using advanced platforms dedicated to microbiology to create new synergies.